Video games are still blamed for a lot of things now-a-days including people being violent, lazy or stupid. 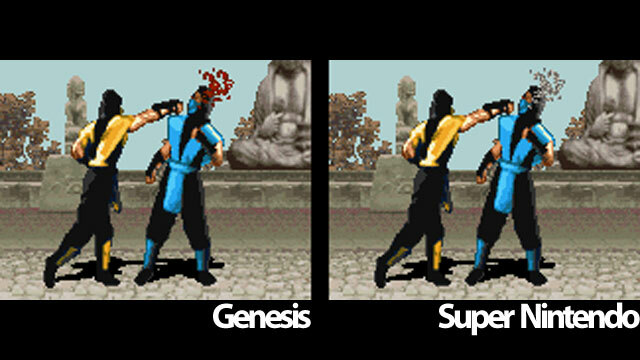 However, back in the 90’s the video game violence debate reached a boiling point and many games were changed or edited to remove things that would be offensive or too violent. Nintendo, wanting to be more of a family gaming company took the lead while Sega was looked at as the more adult system.